Although fitness and nutrients are thought of as two separate things the two are actually linked together and they are a vital combination if you want to look, feel and function at your peak best, so to maintain your peak fitness levels then you need to focus on both of these two very important things. The three most important factors for good health, well-being and to look and feel good are, a good healthy varied and balanced diet, keeping active and learning to manage your stress and emotions. If you struggle at times with your concentration, thought processes or even you short term memory such as struggling to recall memories, words or names or perhaps their are times when you forget where you've put things or you go to fetch something but you forget what you've come for then you could be a sign that your lacking in some important nutrients. Perhaps you have had some of those "senior" or forgetful moments, where you temporary forget where you put things, or you cannot answer a question or you do do badly in tests because your mind goes blank? How about your overall general well being? Do you feel run down, confused or do you lack drive, motivation focus and energy or are you experiencing to much worry, stress and anxiety or even low moods or depression. If so then this could be an indication that you need to pay a little bit of care and attention to your nutrition and fitness because your brain and body could be craving for some good quality and healthy foods and nutrients. Your brain and your body require the adequate amount and recommend levels of for proper hydration and nutrition to do its job properly so it can function smoothly and efficiently. Because if your brain and your body lacks the vital required nutrients and levels of exercise or activity then it won't work as efficiently as could and should. Leading scientific research has proved that better brain health and proper function of the body because it is equally as important to maintain your body as it your the brain is easier to achieve than you might have thought. Just by keeping your body supplied with the recommended daily dosage of the essential vitamins and minerals as well as looking after yourself both physically and emotionally can mean having a more sharper focus. The right balance of healthy foods, vitamins and minerals can also help to keep you calmer and enhance and improve your mood as well as reducing your stress levels and helping to reduce anxiety and worry. The advantages of a well maintained mind and body don't stop there because you will find yourself performing better you be more alert and focused, which will all add up to a better and healthier quality of life. Vitamin D, often known as the sunshine pill. 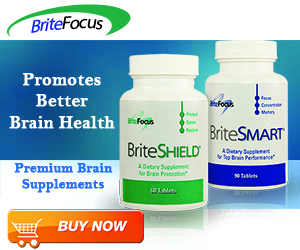 Is believed to be essential in maintaining the healthy functioning of the brain and body. Some people may be deficient in vitamin D.
This is more prevalent during the cold, dark, bleak and sometimes gloomy winter months. I think, we all feel more uplifted during those sunshine spring and summer months when the weather warms up and we have more sunlight exposure. Vitamin D also has many more vital roles to play, as it also believed to be essential for the healthy maintainance of good bone health. Vitamin D is also thought to be able to help boost our immune system. This may help you avoid colds and flu outbreaks during those winter months. Because it is thought to help lift your mood and spirits, this too can help you to feel more happier, and it is well documented, that happier and more positive people have less trouble with some illnesses, they are often more successful and on average, they tend to live longer. Various research has also suggested that there might be a connection between a vitamin D deficiency and psychological issues such as depression, anxiety or low moods. If you are the outdoor type or if you live in a warmer climate, where you get plenty of sunshine, especially during the winter periods. Then, sunlight is still the best natural source of vitamin D.
However, this is not always possible for everybody, and if you are being deprived of vitamin D, due to a lack of sunlight exposure. Or if you cannot access adequate amounts of sunlight, especially if you work in doors during the winter months or you are a house wife who is you're stuck in doors. Then you may benefit from taking a vitamin D supplement, during the autumn and winter months. Many people, due to the location where they live, just do not have enough access to the sun every day. Others are reluctant to go in the sun, because of the health risks that have been linked to having too much sun exposure. Naturally, your health is of utmost importance, so a sensible approach to spending time in the sun is a required. But, if weather permits it. Then 15 minutes of sun on part of your body can often be enough to boost your vitamin D levels. Try and avoid over exposure to sunlight and getting sunburned or risk damaging your skin. If you do choose to enjoy the benefits of being outdoors. It is wise to use a high factor sun protector, cover up or stay in the shade especially during the heat of the summer. You can still be outdoors for long periods of time, without getting sunburned or having to much direct sunlight on your body. A sun tan may look good. But, to much sun, can contribute to premature aging and other health related risks. Everybodies dietary needs will vary to a degree and the food and nutrients that your mind and body will require will depend on what fits your biology, your lifestyle and your goals and activity levels. Although you should aim to eat a varied, healthy and balanced diet, everybody likes the odd treat or fast food and so long as you don't do it too access there is nothing wrong with indulging in the occasional treat because trying to force yourself not to eat something that you like will just make the cravings stronger. But the main bulk of your diet should be geared around eating the foods your body and your brain really needs and loves and the kind of healthy foods that give you more of the get up and go feelings. The foods that you eat can reflect on how you feel emotionally and physically the next day and some foods can increase your energy levels and boost your mood whilst others can increase your anxiety levels and lower your mood. The simple formula for what types of foods that are right for you is, when you eat something you should always feel better or it should not make you feel worst. Some people are intolerant or sensitive to certain foods and food sensitivity has been linked to many health and emotional issues, including inflammation and it has even been linked to weight issues. The foods that you consume can also reflect on the quality and condition of your skin and some foods have been linked to some skin conditions, if you eat a good supply of healthy nutritious foods then it can leave your skin looking clearer, healthier and more radiant. For some people they may have no idea that what they're suffering with can be related to what they are eating and even when they are living a healthy lifestyle and they are doing everything right they are left feeling mysterious and confused to why they still feel bad. This can leave the suffer very confused and dejected which can lead them to further emotional and physiologically issues because they believe that there must be something wrong with them which cannot be fixed. Depending on the symptoms it can sometimes have a negative effect and impact on the individuals social and working life's especially for people who develop digestive problems or even severe skin issues. If you feel fatigued, sluggish, bloated, digestive problems, irritable, you have excessive wind or you have certain skin conditions or you suffer with what is described as brain fog and many more symptoms then this can indicate that you may have eaten something that does not agree with you. Food can play a significant role in people's lives, both for the better and sometimes for the worst so it's important to be aware of what you eat and how it might affect you. Sometimes the after effects of eating foods that you're sensitive can start to take effect two or three days later. If you feel bad or underwhelmed after eating certain foods, then it might pay you to eliminate some of the suspect foods from your diet for a few weeks and see if there is any change. Once you have done this you can start to introduce one suspect food at a time to try and find out which one is the culprit. You can get a food intolerance test so it may pay you to consult with your doctor or dietitian, for more profession information watch the video below. There are many reasons and benefits that you will gain by keeping yourself fit and healthy, and these days with the advance of technology and more and more TV channels more and more people are leading sedentary lifestyles. Sitting down too much can still be bad for you even if you exercise regularly and you eat a healthy diet, so if you do have to sit for long periods make sure you sit properly and as comfortable as possible and take regular breaks and get up and have a walk around. Our bodies have been designed for movement and there have been many reports of late about the health risk and dangers of spending long periods sitting down, which can slow your metabolism, which can lead to weight issues as well as squashing your internal organs which can restrict your breathing and blood flow which is believed can also reduce the oxygen flow to the brain. Keeping yourself fit and active does not mean that you have to spend hours in the gym or perform long and grueling workouts. A brisk walk everyday or so will keep your body active and doing household tasks or chores, like cleaning or doing the garden is all forms of exercise and activity. If you can combine something you enjoy which involves physical activity and movement and you can incorporate that into your daily routine such as dancing or something sporty then that will greatly benefit you emotionally and physically. If you stay fit and active and there is no reason why you cannot have a great looking and toned body at any age as some people are proving then not only will it make you look better and when you look good you feel better, but it will also keep your muscles working and more flexible and it can help reduce stress and anxiety as well as lifting your mood. In these days where people are now on average living longer, although many are taking care of their body most tend to overlook and neglect the importance of looking after their brain health. It's great to have a fit and healthy body, but to compliment that you need a healthy brain that is in good working order otherwise it's a bit like having a great looking computer with poor software. If you want to maintain the quality of your life, then you will need a fully functioning and healthy brain and good nutrition is vital to keep the proper functioning of the mind and to keep your mental faculties in good working order. A lack of the proper and required nutrients can also lead to what has been described as brain fog and cognitive dis-functions. Start to nourish your brain correctly and you will begin to receive the huge benefits that you will soon start to feel from doing it which can include an improvement in your memory and recall, helping to boost your focus, intellect and your concentration powers.